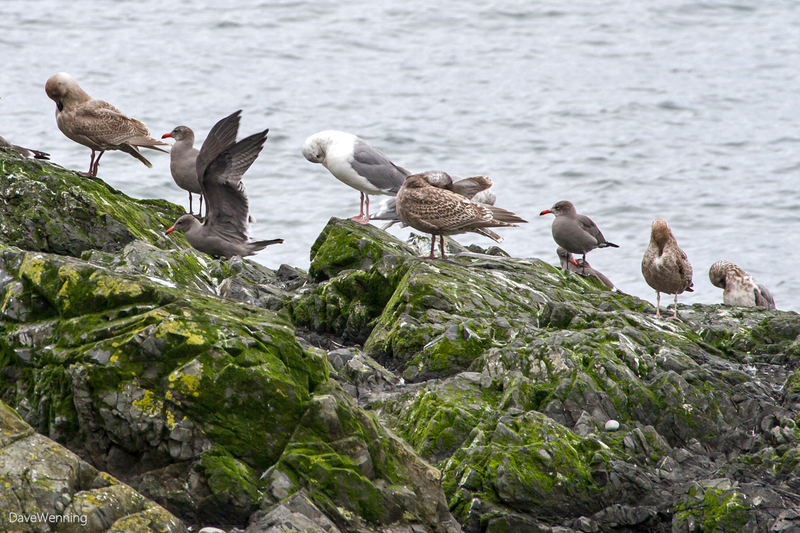 ...when the Heermann's Gulls stop by at West Beach in Deception Pass State Park. There are four in the photo. They are the gray-brown gulls with red beaks. Click or right-click the image to open it full size. Heermann's Gulls have a unique migration habit. After the breeding season, they come north as far as British Columbia. In December, they will start back south to reach their breeding grounds in Mexico. Their breeding season there occurs between March and July. While I watched the gulls, this Song Sparrow perched nearby to watch me watching the gulls. 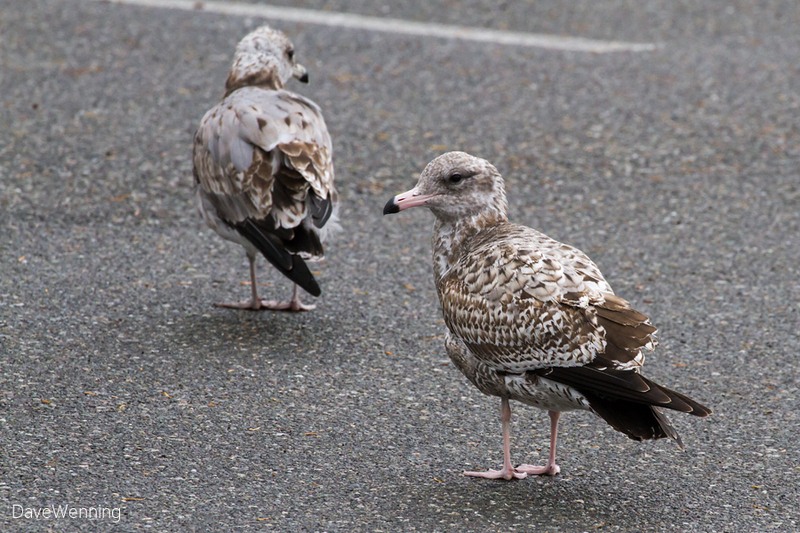 A gang of about a dozen juvie gulls was hanging out in the West Beach parking lot. They reminded me of high schoolers at the drive-in. Does that date me? These are park birds, accustomed to cars and people. One was so at ease, he decided to take a nap right next to my truck. It was a cool, overcast morning. 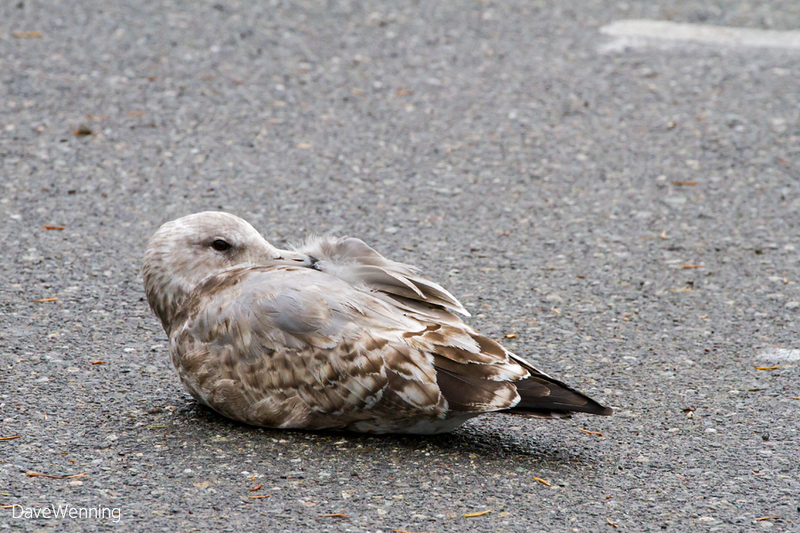 I am guessing the gulls were enjoying a little solar warmth absorbed by the asphalt pavement. 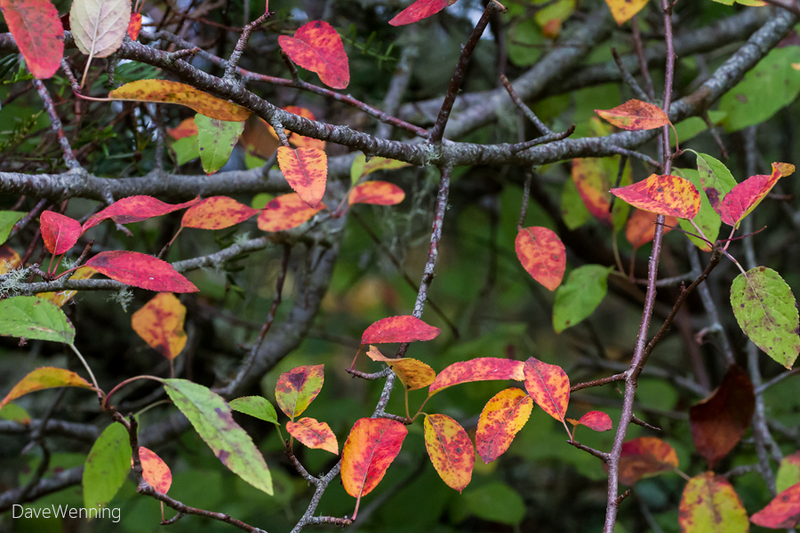 This is still a mostly green place, but there is some fall color around if you know where to look. 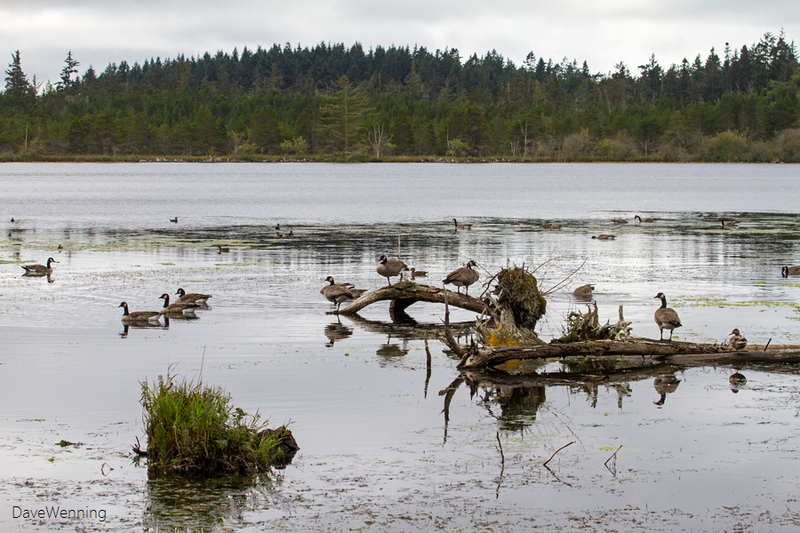 There were several dozen Canada Geese gathered along the shore of East Cranberry Lake. These are probably resident birds and not migrants. That end-up feeding posture is called dabbling. This allows them to reach the muck in the bottom of the lake. 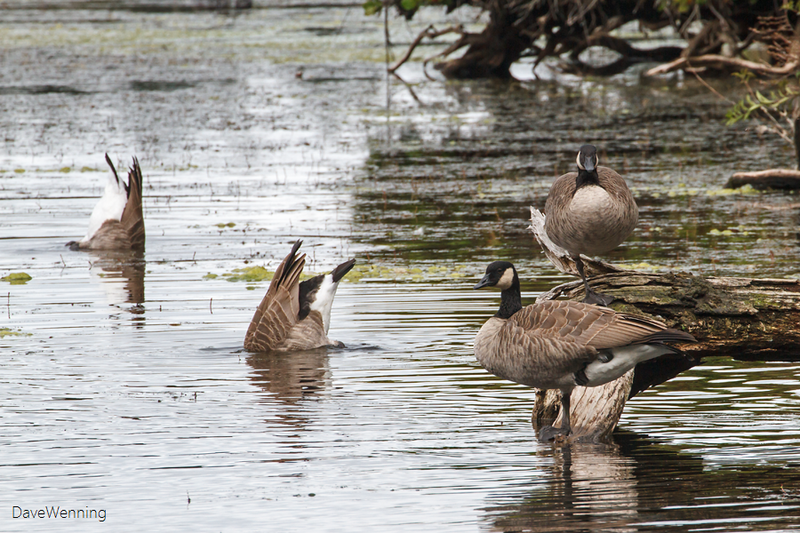 Notice the two geese on the log are righties. I have also seen lefties at Cranberry Lake. 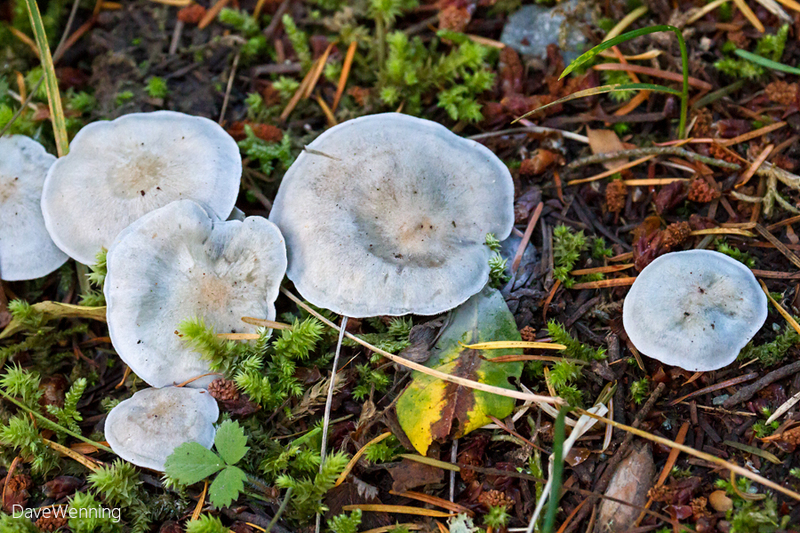 This morning, there were more signs of autumn across Skagit Bay on Kiket Island in the Kukutali Preserve. 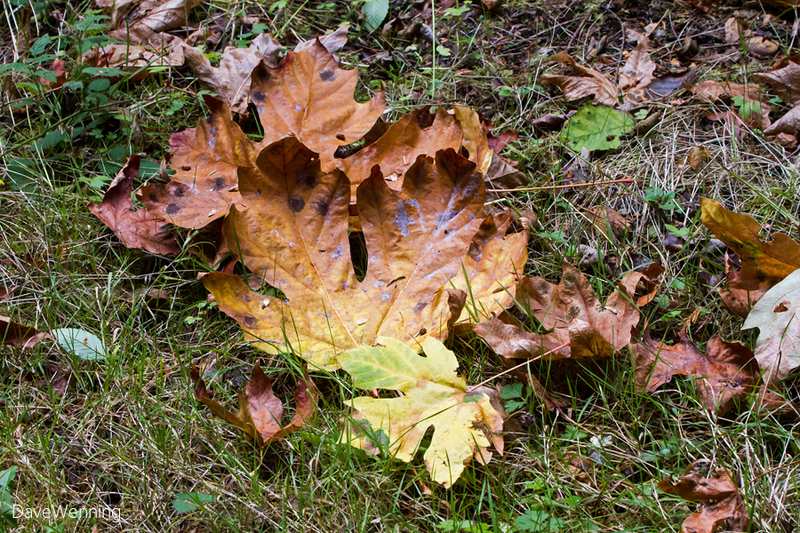 Bigleaf Maples have, well, big leaves. 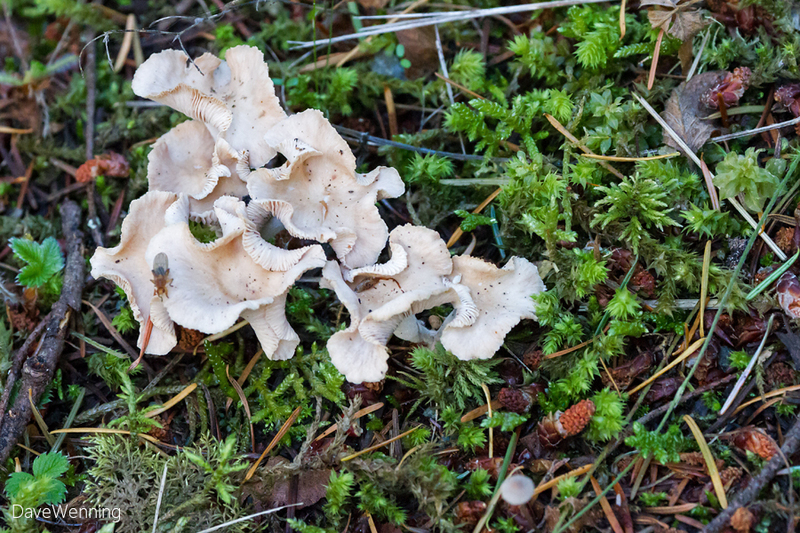 Mushrooms are sprouting all along the main road across Kiket Island, another sign of autumn. Can anyone identify these? I don't have a mushroom field guide, so I ordered one from Amazon. Was this a good choice? 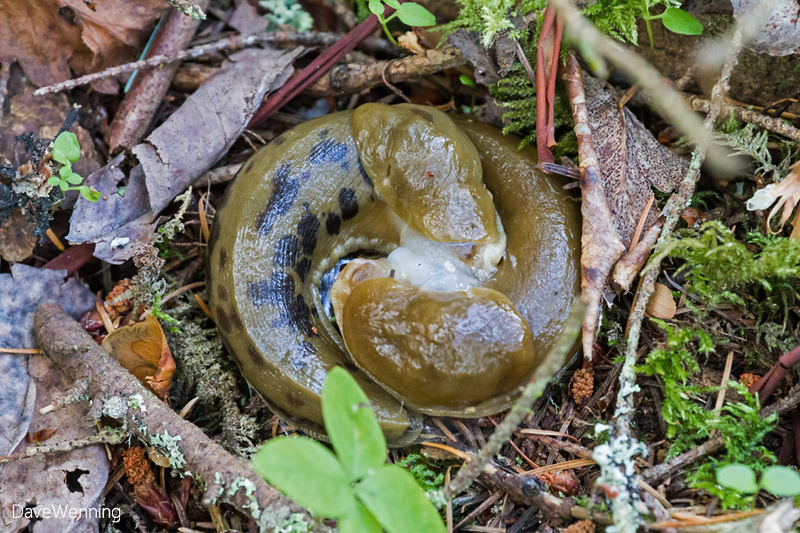 These Banana Slugs on Kiket are doing exactly what you think they are. I spotted this small cruise ship anchored between Kiket and Hope Island. 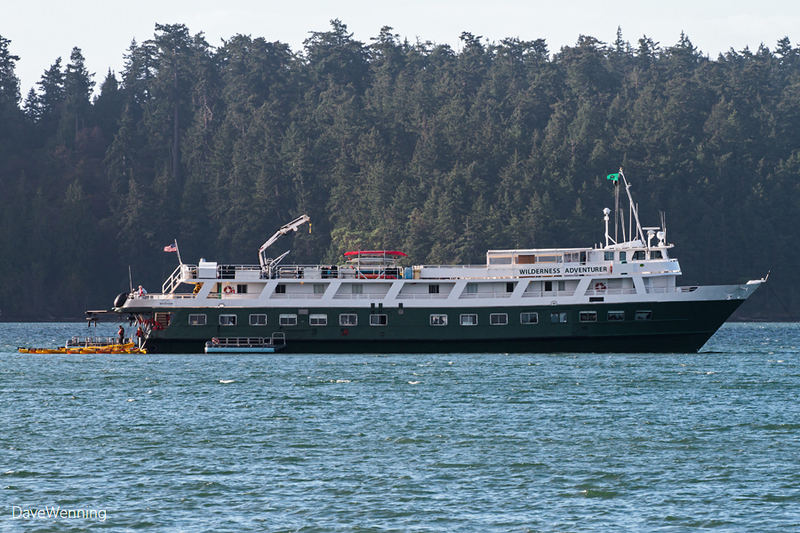 The Wilderness Adventurer carries 60 passengers with cruises out of Seattle to Alaska, British Columbia and coastal Washington State. Late this afternoon, I could still see her anchored out there from my house. 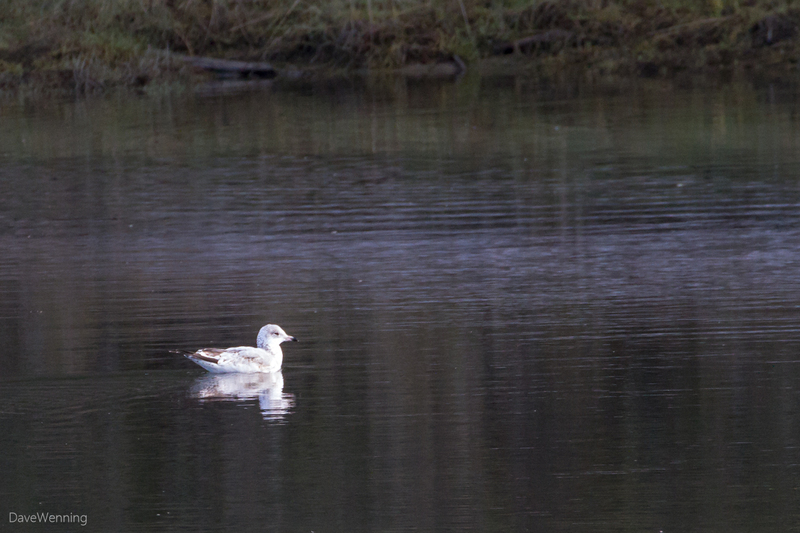 As I was hiking off of Kiket Island, I spotted this mostly white gull with a black bill tip in the pocket estuary. Can anyone help me ID it? My best guesses are juvenile Ring-billed, Mew or Thayer's. Gulls are hard. They change appearance with age and season and move long distances. I know I have never seen this one before. Autumn is always the best time to spot wildlife migrating through. This post was my first submission to Wild Bird Wednesday! Check it out. Love all the Gull shots and Autumn colouring. What a large slug. Not sure about the ID. Hi there and welcome to WBW! It must be gull week! nice images. I was back in the UK for a month - most of July - and I have been posting WBW images from that trip. I am about to start posting Australian birds again! I am not great at iding the gulls.. 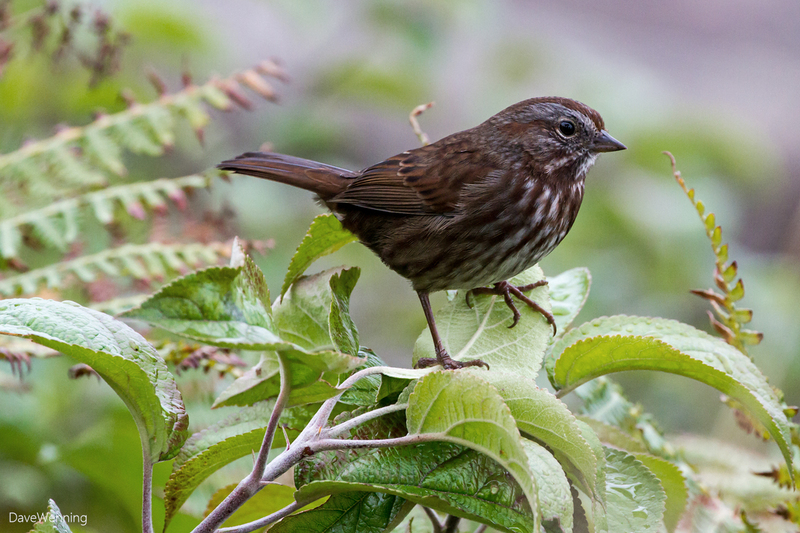 The slug is weird..Pretty shot of the Song Sparrow.. Love the fall colors..Awesome series of images.